Over the next few months we will be following two M Club members on their journey to fitness and weight loss. This week we’d like to introduce you to Bryony Highfield. 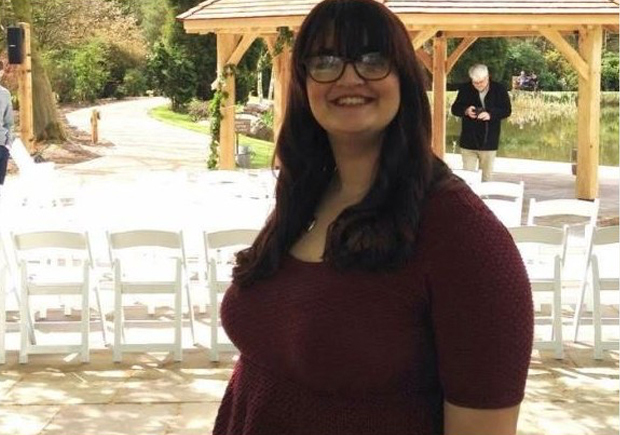 Currently a dress size 20, Bryony Highfield is determined to lose weight before her wedding day. The 24-year-old decided change her diet and get fit after ‘hating’ the way she looked in every photograph taken on a trip to mark her engagement. “Once we got engaged, we went to the Harry Potter studio tour and the photographs from there and our holiday to Cornwall the summer before prompted me to want to lose the weight,” she says. “I was obese, in a pre-diabetes condition, tired all the time and hated my appearance and every photo I was in. Bryony joined M Club and quickly realised that she would need to change her eating habits as well as exercising. Craig Silkens, a sports massage therapist and personal trainer at M Club, says Bryony’s end goal will be a good motivation for her. “Bryony is under no illusions that the road ahead is a long tough one but she is extremely motivated to change her lifestyle and her health. “I feel that the key to her success will be the external motivations she has. Bryony has a wedding date set so of course she is concerned about her health and the impact that her current weight is having on it. “Bryony is changing her lifestyle because she does not want to damage her body any further. “She has already made some changes to her eating habits, she will attend the gym on a regular basis completing a controlled exercise regime and will vary her gym training with a mixture of different aerobic classes and swimming. * We will be following Bryony’s progress over the next few months. If you have any questions about M Club Spa and Fitness, please fill in your details and a membership sales adviser will contact you.